This is pure slip stitch crochet, done in the back loop. With a larger-than usual crochet hook, it crochets up faster than you’d think. It’s so easy that it’s almost not a pattern at all. It is Step One in creating my Eva Shrug, and when I was making the shrug, I was very tempted to stop right here and leave it as a scarf! If you decide to turn your scarf into the Eva Shrug, you’ll have Step One already finished. 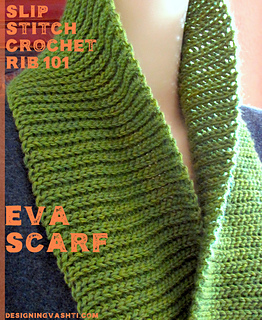 Eva’s Ribs resemble knitted stockinette or 1X1 knitted rib to many people. It does for me too, sort of. This is a luxuriantly stretchy and plush ribbing, more so than any other crocheted or knitted ribbing I’ve experienced. 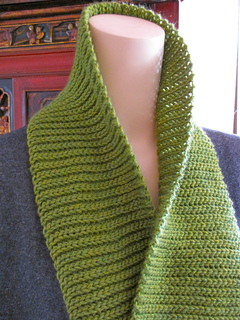 Most of my other slip stitch designs have been done in the front loop. 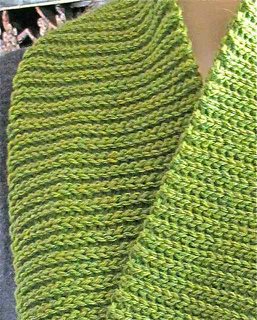 See especially Slipster Slackscarf, if you’re new to slip stitch crochet. 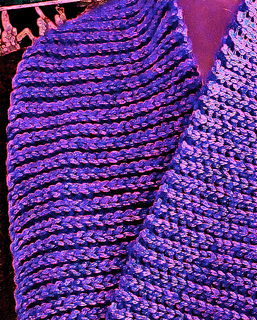 The kind of fabric it produces also resembles knitting, but reminds me more of garter stitch, or of Tunisian Purl stitch. 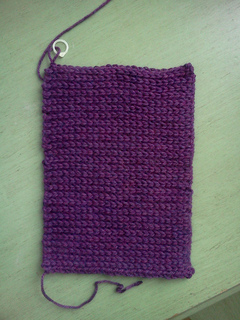 After crocheting this scarf, two-thirds of the second skein remained. This means I’d use all of three skeins of this wonderful yarn if I made two scarves, for a total of $19.50. I devoted Issue #9 of my Crochet Inspirations Newsletter to this inspiring ribbing, including the instructions to make your own. I’ve put those instructions into this spiffy official DesigningVashti single pattern PDF format, which you can conveniently store in your Ravelry library. I hope you enjoy this scarf as much as I do! I’d sure like to call this an “Advanced Beginner” pattern, because the slip stitch is an elementary stitch, and this is a simple scarf pattern. 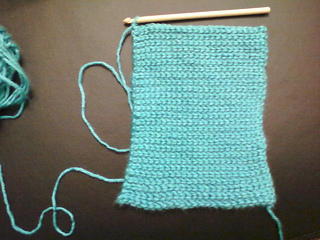 However, the stitch gauge is much looser than most crocheters are taught to use when they learn how to do the slip stitch. The more you can let your crochet hook size determine how loose you make your slip stitches, the more you’ll like your scarf. Your stitches will even out and get soft and stretchy. 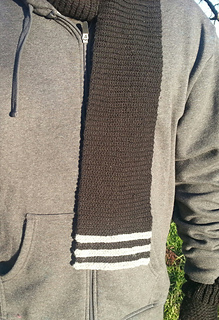 It’s easy to make your scarf wider or longer. If you do, you may need more yarn; also, you might not be able to use it as Step One of the Eva Shrug. Substituting a yarn: The best fibers for this project add bounce and plump stretchiness because of their wool or acrylic content. (Cotton yarn is just not the same for this.) Choose a #3 light- to #4 medium-weight yarn that recommends a crochet hook size range somewhere between US G/7/4.5mm-I/9/5.5mm. 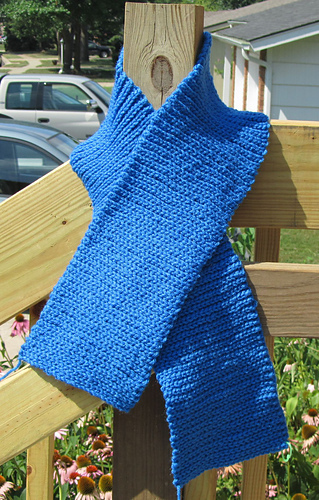 These yarns may also be referred to as DK (Double Knitting), Light Worsted, or Worsted weight.